Today Zillow Group announced a big new perk for multiple listing services that agree to send the portal giant direct listing feeds: free public record data. The move is the company’s latest offering in its quest to sign up direct feeds from MLSs now that its agreements with rival-owned listing syndicator ListHub have expired. The new program, which also offers MLSs proprietary Zillow data, is a more tangible exchange than that previously tendered by Zillow — data for data — and a tactic similar to that of National Association of Realtors subsidiary Realtors Property Resource (RPR). Dubbed “Zillow Group Data Connect,” the program will allow MLSs to offer their members access to property details such as mortgage information, property taxes, physical characteristics and mailing addresses, the company said. That public record information can also be enhanced with proprietary Zillow data such as Zestimates and user-generated information on 50 million homes, such as updates on property renovations. “They will get any information we have, and are able to share on a property, such as nearby amenities,” Zillow Group spokeswoman Amanda Woolley told Inman. “As most public record data currently available to the MLS is static — never learning new details about the property or adding more details from other sources — this new source of data will give MLSs the freedom to innovate and build products and services for their members,” Zillow Group said in its announcement. “There is literally no limit to the type of tools or service an MLS could build with this data,” Woolley said. Zillow Group declined to comment on where it would get the public record data, other than to say it would be from a “national database” and the original source of the public records would be counties. The company is rumored to be on the hunt for a public record data firm. If true, that would make the company a direct competitor to CoreLogic, Black Knight and RealtyTrac. Chicago area-based MLS Midwest Real Estate Data (MRED), which recently signed a direct-feed agreement with Zillow, currently has a multiyear agreement for CoreLogic’s Realist public record product, as do many MLSs across the country. MLSs can spend hundreds of thousands of dollars per year to buy or license public record data, and only receive updates to this data periodically, the company said. The company’s MLS partners will have access to high level national data and very specific regional data within their market, she said. “MLSs use this data to help members create listings, and they share the data with members who use it to research their market, speed up listing input, and help with prospecting and business development,” Zillow Group said. The program is slated to launch in the fourth quarter. The data will be available via a mobile app or application programming interface (API), the company told attendees at the Zillow MLS Forum in Las Vegas today. “One of Zillow Group’s top priorities is to be an excellent partner to the real estate industry, as we innovate on behalf of homebuyers and sellers,” said Errol Samuelson, Zillow Group chief industry development officer, in a statement. 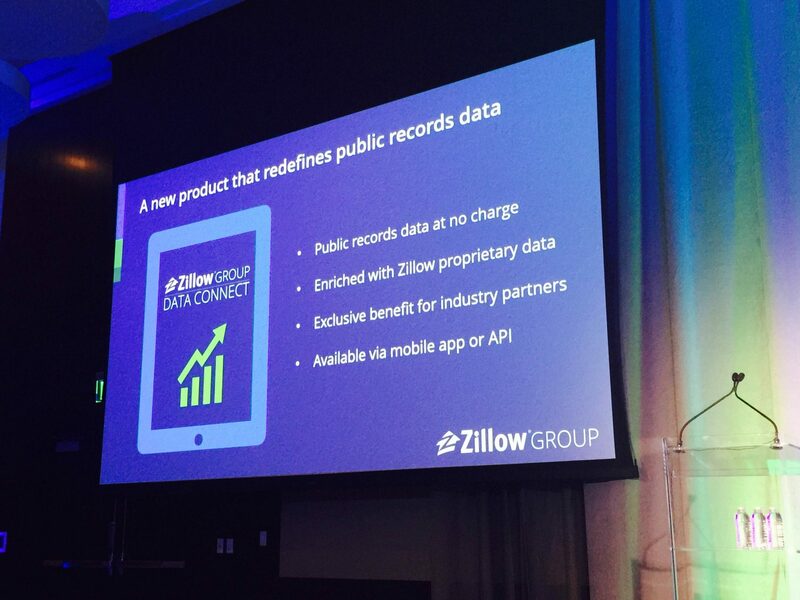 MLSs will have “broad usage rights” to the public record data, Zillow Group said. This includes the ability to publicly display the data. “The only thing a partner can’t do is resell the data. Outside of existing restrictions from the government on privacy, there are no other restrictions,” Woolley said. At the forum, Samuelson “said that the MLS is the best source of data [and] the best place for industry standards,” Lasky added. Editor’s note: This story has been updated with comments from MRED spokesman Jeff Lasky and to note that Zillow Group declined to comment on where it will get the public record data it will offer MLSs.